Sweeney Todd is Stephen Sondheim’s most murderous musical, all the while hailed as a true classic with a heartfelt score. Sondheim and book writer Hugh Wheeler adapted the concept from the Victorian Penny Dreadful publications. The pair begins a sick but mutually beneficial arrangement in which Todd kills his customers, later sending them downstairs to Mrs Lovett’s pie shop to be used as pie meat. Unfortunately their sweet arrangement becomes somewhat complicated as suspicions rise and Todd’s true background is revealed. Previously performed with the New York Philharmonic, Sweeney Todd: The Deamon Barber of Fleet Street, A Musical Thriller, arrives at the London Coliseum as part of the English National Opera’s partnership with the GradeLinnit Company. 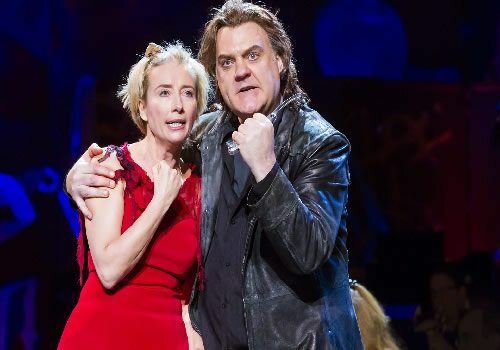 Check out our interview with Brian Terfel and Emma Thompson from the Sweeney Todd Press Launch. *Please note : this production is SEMI staged. Sweeney Todd is a tale of gruesome murder, in which people are chopped up and baked in pies and then eaten. This is not a show for children!